you are the lady in red. in red linen! Beautiful woven linen dress with a polyester inside. slightly dropped shoulder and at the back there is a row of big buttons that give this dress the typical late 80’s feeling. We re-dyed the dress to make the colour even more stunning! Quality: 100% Linen with polyester lining. 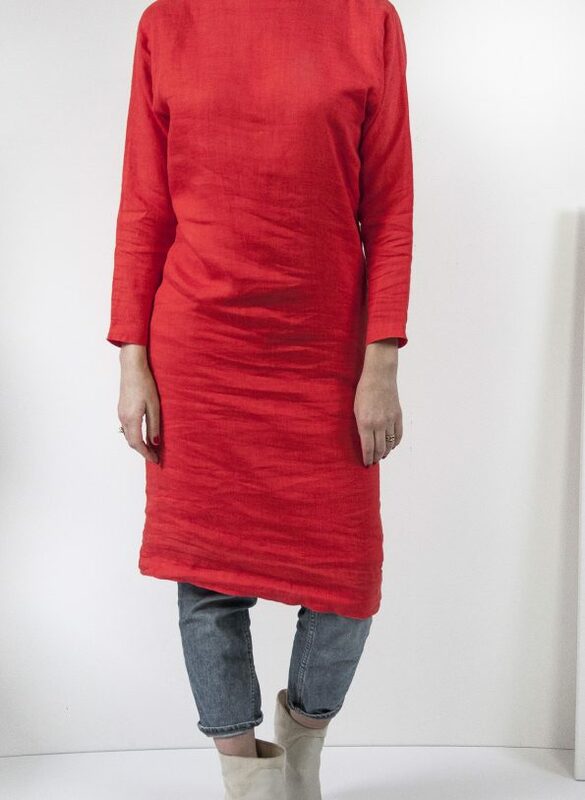 Linen can be treated the same way as cotton, but cause we re-dyed this beautiful dress; please only wash with other red items or even better: separate. due to bleeding of the colour. We don’t want to give your whole wardrobe this stunning red colour!